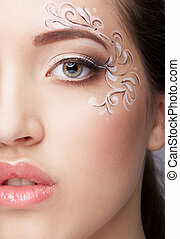 Close-up of fantasy make-up. 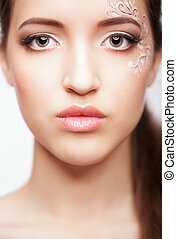 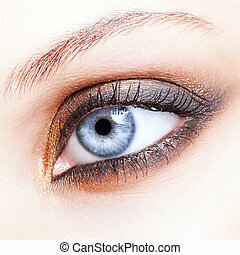 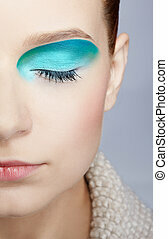 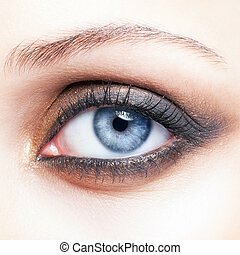 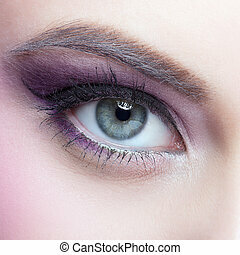 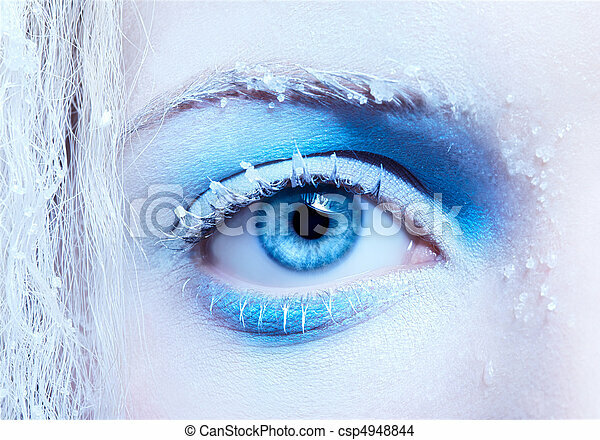 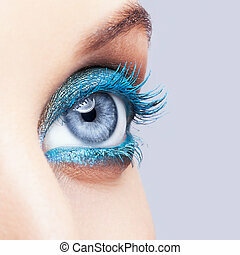 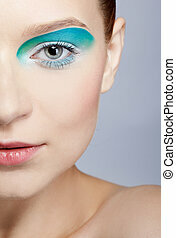 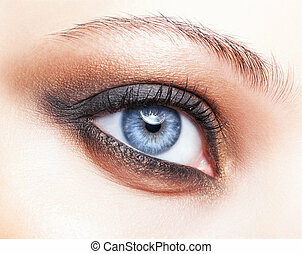 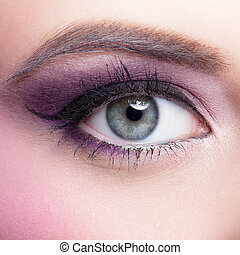 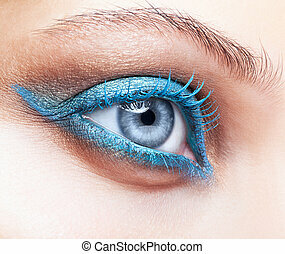 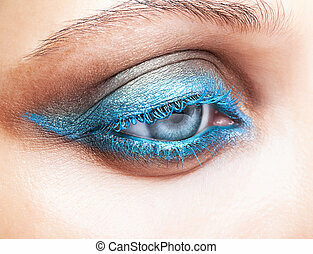 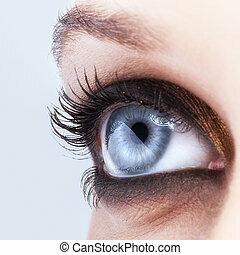 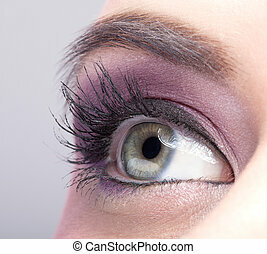 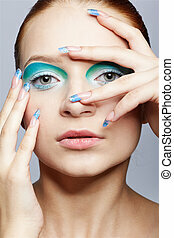 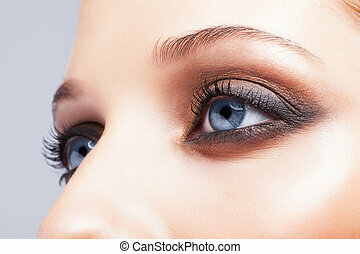 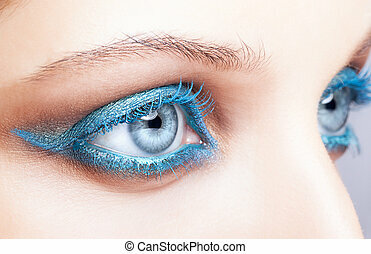 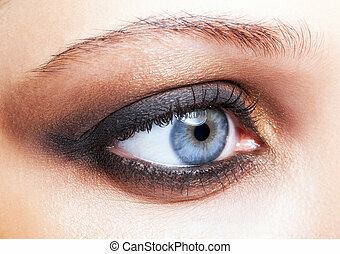 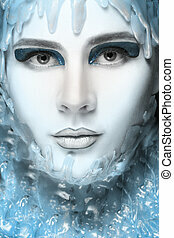 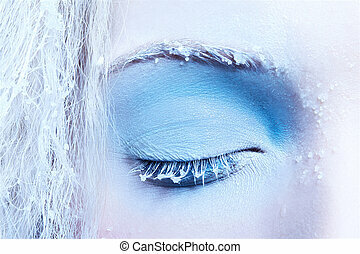 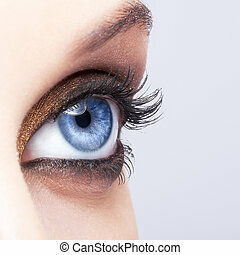 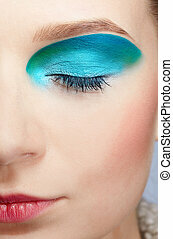 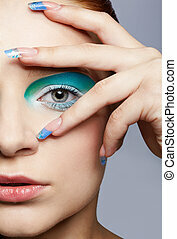 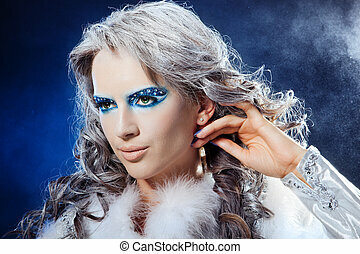 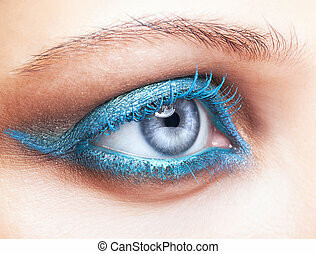 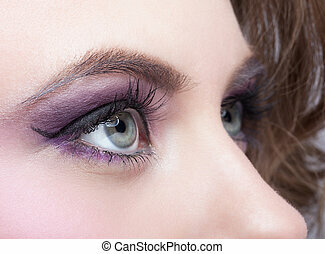 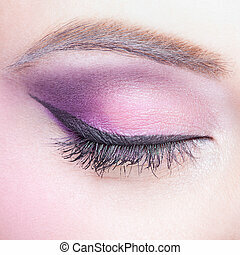 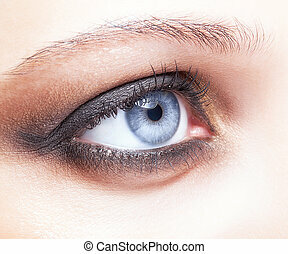 Close-up portrait of beautiful girl's eye-zone fantasy snow make-up. 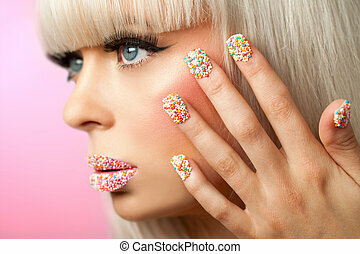 Extreme close up of fantasy make up with sugar sprinkle dots. 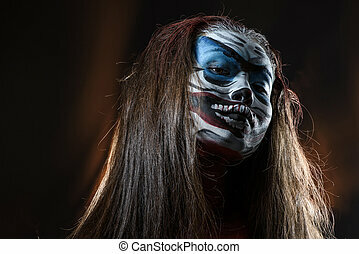 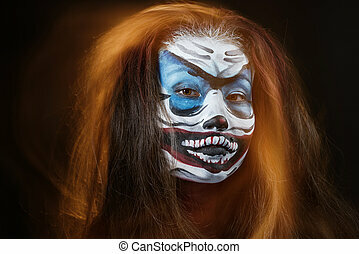 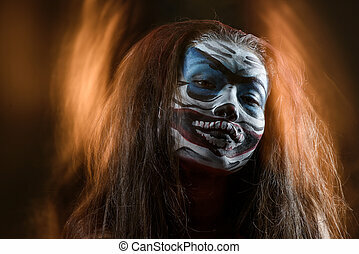 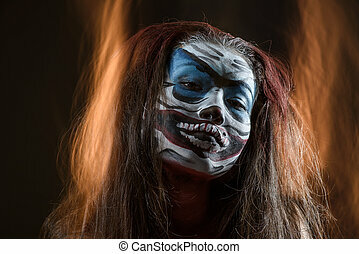 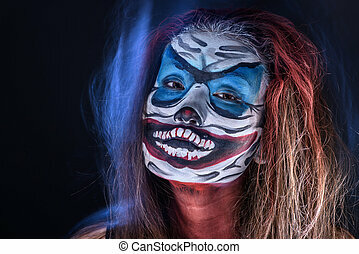 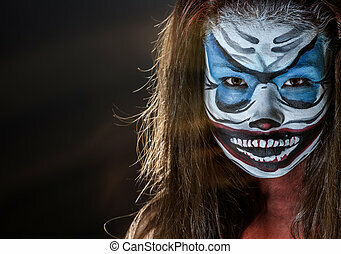 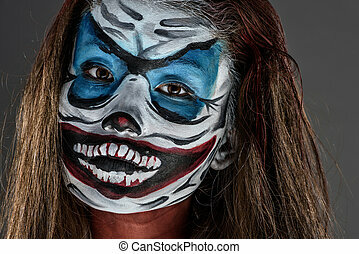 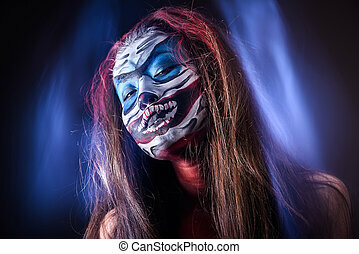 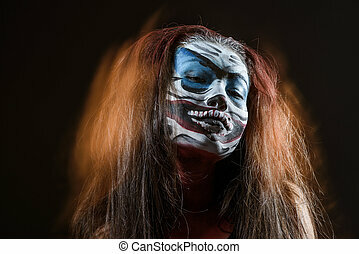 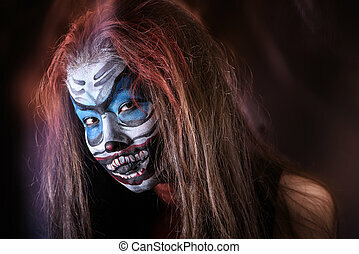 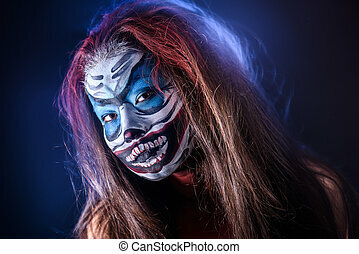 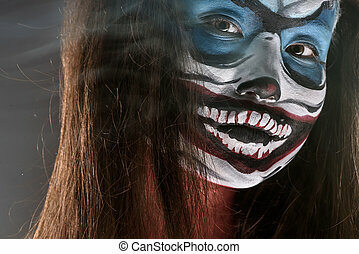 Fantasy hallowen make up. 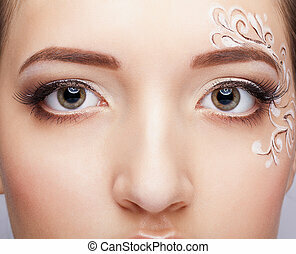 Close up shot of Fairy face art.